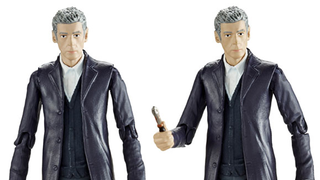 Peter Capaldi's 12th Doctor figure is... not really Peter Capaldi? Finally, the first figure of the 12th Doctor's action figure is out - and when we first saw pictures of the prototype, it looked pretty decent. New press pictures of the final figure however, reveal something that looks a little less Peter Capaldi, a little more... pallid Rowan Atkinson? Huh. In certain lights - especially the picture of the toy on its display base, we get a hint of Peter Capaldi's intense look, but it seems like it's largely washed out by paint that sort of makes it not really look like him at all. Which considering that he's, ya know, the main character of the show your toy line is based on, perhaps isn't the best thing. I don't know, maybe I'm being a little harsh on it, or maybe I'm just used to better looking face sculpts on smaller figures, but I'll leave it to you guys. What do you think of the plastic Twelfth Doctor? 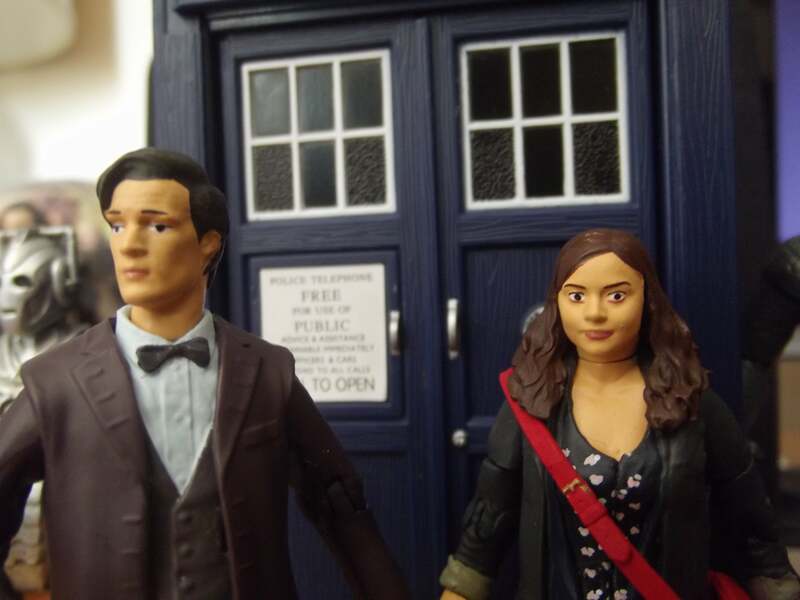 I guess we can be at least thankful it looks a lot better than Character Option's first 3.75" attempts at The Eleventh Doctor and Clara. Oh my.